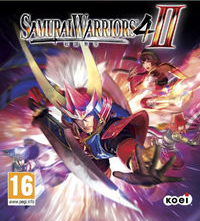 The most well-received elements of “SAMURAI WARRIORS 4″ are carried over, while the action balance, cut-scenes and character development systems have all been significantly upgraded. Explore the world of “SAMURAI WARRIORS 4″ anew, in this whole new take on the title! Why Samurai Warriors 4-II won’t start on my windows 10 x64? I installed everything, c++ and the rest, updated my graphics card, tried starting as admin, it just doesn’t work. I have a beast computer, and I have no idea what is the cause. I installed, I click the icon, a black screen appears for a second, and it closes leaving me back on the desktop. I usually don’t have problems with your uploads. When i start the game it does not start, for a little while a black screen will come then i will be redirected to my desktop. Please give me some solution..